No installable programs (beside java) ? For this price and dimensions ?? POOR ! The best 1.3MPix camera in the market by far! i love this one but when will it come to Australia i hope it'll be so soon !! cant wait to give it a shot !! The User Interface for this phone should be the standard SE one. It'll be very similar to the one found in the K700. It is not a smartphone. I believe the main prupose of it is to emulate a digital camera, but still function as a phone. what os does this phone run on? a proprietary os? is it a smartphone? It has the weight, the size and the price of a smartphone (series 60 or 70). 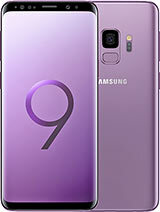 Does anyone know for sure when the s710a is coming out in the US? At this time, SE is planning to release those models in Nov. and Dec. The price will be around USD 600. This phone is da best. I want it!!!!!!!!!!!!! This is basically the S700 for the Americas. It will operate on the 850 (800), 1800, and 1900 frequency bands. It also has EDGE which the S700 does not. Both phones feature a built-in radio. Wow! S710 is awesome! it's cooler than S700... except the EDGE function, what else is different wif S700? and.. does S710 have built-in radio? how about S700? anyway, i'm from malaysia. does this phone available in malaysia? what's the price?